I’ve loved and admired Pam Smy’s work since I first saw it several years ago when she was engaged to illustrate my children’s book Lob. Her reputation has grown since then and her style has matured; she went on to provide beautiful illustrations for my next book The Brockenspectre, Siobhan Dowd’s The Ransom of Dond, and a Folio Society edition of Penelope Lively’s The Ghost of Thomas Kempe. Following publication of this new book, someone ought to commission her to illustrate The Secret Garden – an inspiration behind Thornhill which is referred to in the book. Pam Smy’s style combines a classic, timeless feel with a way of drawing the viewer into her worlds. She excels at portraying natural surroundings, especially wild and possibly threatening places, but also domestic interiors rich in detail. Her human figures – of all ages - are expressive, endearing and recognisably ordinary. But this book is a breakthrough, for Pam and possibly for children’s fiction too. 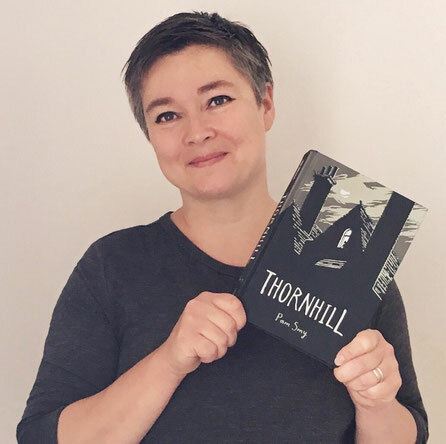 It’s the first she has both written and illustrated, and combines two stories: that of Mary, an unhappy resident of Thornhill Institute for Children in the 1980s, and the wordless illustrated viewpoint of Ella who moves into a nearby house in the present day. Exploring with Ella, we’re drawn into an unsettling story of bullying and negligence, gradually realising that Ella too is a neglected child – living with her preoccupied father and spending long hours alone. Her situation echoes that of Mary, waiting to be fostered, selectively mute, and bullied by another girl in the home who charms everyone into believing that she is guileless. Unable to confide in anyone as her situation worsens, Mary takes comfort in making puppets to provide her with company, and these are used in the illustrations to eerie effect. What is quite wonderful and brilliant here is the suspense Pam Smy achieves in Ella’s wordless sections, divided from the text by plain black pages. 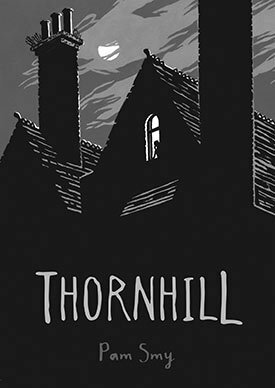 The feeling is cinematic, the tension crackling from the page as we move closer to Thornhill’s garden and then inside the abandoned house. And there are surprises which will make you catch your breath. I’ve always thought that Pam Smy deserves to win the Kate Greenaway Medal for illustration. With this moving and strikingly innovative book, she ought to be in contention for the Carnegie Medal as well. See more, including sketches and insights, on Pam Smy's blog.